Bright and cheerful with a European flair, this home in San Francisco’s Noe Valley belongs to a spirited couple fond of contrast and color. 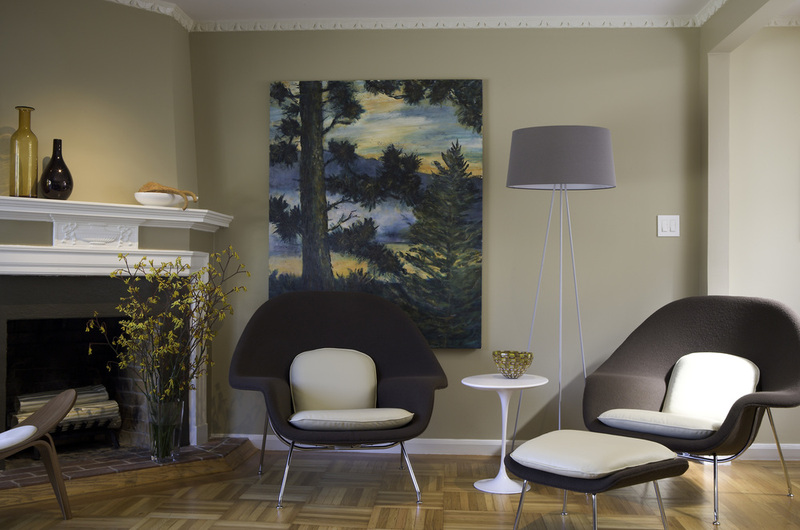 The pairing of light with dark, smooth with textured, and mid-century with modern provides fresh visual interest. Bright, clean and luxurious in a minimal way, the home includes fun and functional storage as well. Inherited art plus carefully sourced rugs and furniture are arranged to create a warm, welcoming ambience. Designed to focus on the view, the fireplace and the TV, the living room reflects the way the residents actually live.